We are now able to serve coastal Carolina. 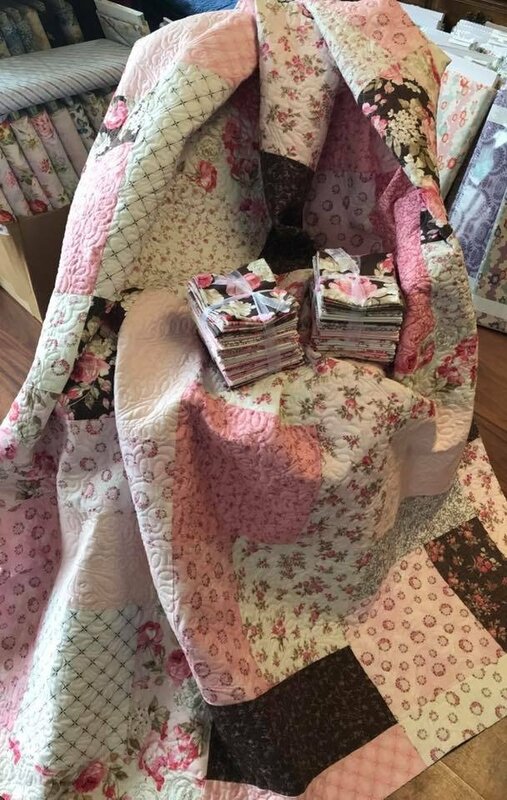 We have a mini quilt shop located in the Northrop Antique Mall at 111 E. Moore St, Southport, NC. We are one block off of the waterfront in this beautiful historic building. We are set up much like we are at quilt shows. All of the fabric is cut into lengths and tagged with the price. You shop at your leisure and take your purchases to the checkout counter. The Row by Row is going well at Northrop. Both kits are available there. Only one pattern is free, and it is the Southport row. The new Christmas fabrics will be at Northrop soon. There are Jelly Rolls, Charms, Layer Cakes and yardage of the most popular groups. We also have a lot of discounted fabrics that are in 1 1/2 yard lengths. Be sure to stop by often if you are local. We change out a lot of the fabrics every two weeks. We are adding the new colors as we get them dyed and stocked. We start with the best wools we can find and our colors are very vibrant.